Your guests will love creating works of art with their OWN HANDS! The kids dip their hands into the liquid wax to create a mold. 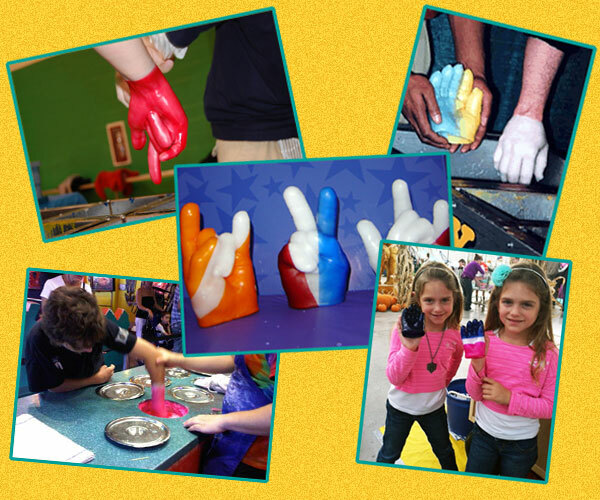 Our special wax is used to create a three-dimensional, colorful replica in minutes! GREAT for Festivals, Picnics, Bar-Bat Mitzvahs, School Events, and much more! !